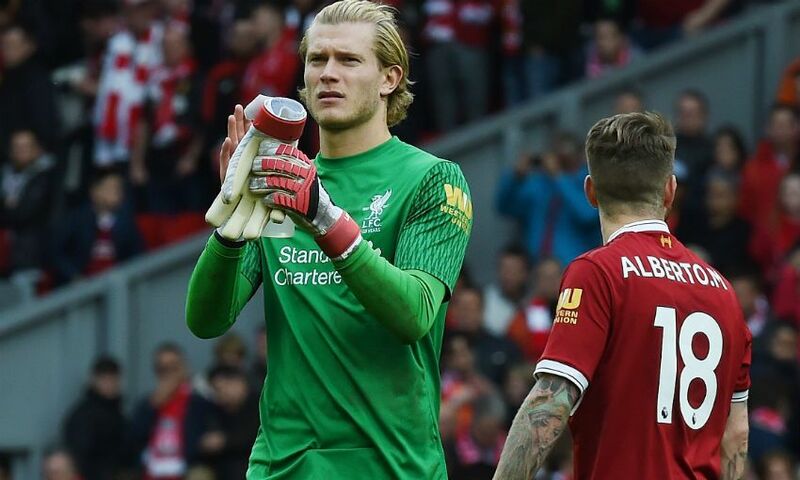 Liverpool’s failure to pick up all three points against Stoke City should not cloud the fact a top-four finish remains in their own hands, Loris Karius believes. Saturday’s match at Anfield was largely a tale of frustration for the Reds, with the hosts seeing a goal disallowed for offside and having two penalty appeals dismissed as they strove in vain to force a way through Stoke’s massed defence. But, while acknowledging the disappointment of being held to a goalless draw by the Potters, Karius pointed out that the bigger picture remains positive for Jürgen Klopp’s side in terms of qualification for next season’s Champions League. “When we play at home, we want to get three points of course. We knew it wouldn’t be easy against Stoke and we’d have to be patient,” the goalkeeper told Liverpoolfc.com. “The game wasn’t really going our way. It is how it is; we take the point and we’re still in a very good position. The Stoke game came just four days after Tuesday’s resounding 5-2 Champions League semi-final first-leg win over AS Roma, and Karius accepted that Liverpool’s performance was not at the same level to the one that saw the Serie A team blown away at Anfield. “That’s our job: to stay switched on and after such a big game in midweek to manage the next game,” he continued. Stadio Olimpico will host the second leg of that last-four tie on Wednesday, and Karius is not taking a place in the final for granted ahead of what he expects to be a tough evening’s work in Italy. “We know it’s far from over and it will be difficult,” he said.